It’s National Hug Day on 21st January so we’ve been looking at the benefits that hugging can bring. National Hug Day, on 21st January, is an annual event that’s dedicated to hugging. The idea is to encourage everyone to hug their friends and family more, particularly at this time of year when we’re often in low spirits. 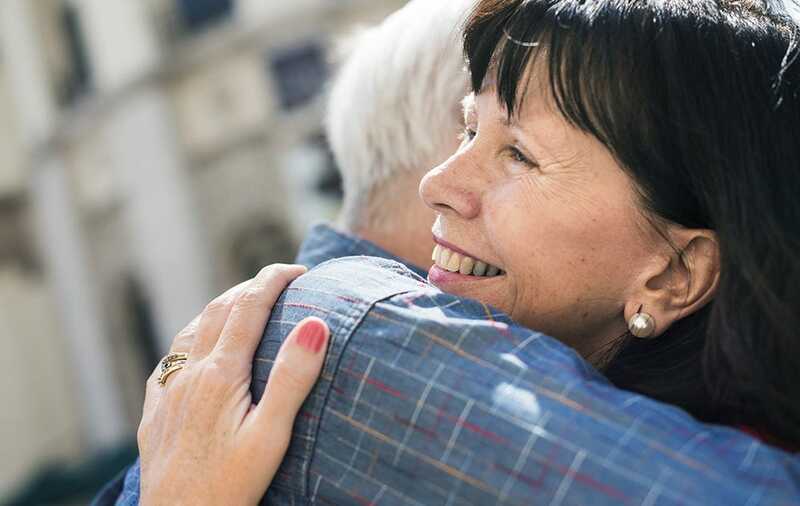 As well as helping us feel close and connected to people we care about, research suggests that hugs can also deliver a host of health benefits. Scientists found that the hormone oxytocin was released into the blood stream when you hold a partner or friend close. This lowers blood pressure, reduces stress and anxiety and can even improve your memory. A study from Carnegie Mellon University in the USA showed that healthy adults who got hugs were less likely to catch a cold. Researchers found that people had a reduced risk of infection after being exposed to a common cold virus if they felt like they had good social support in their lives and received more frequent hugs. According to the same Carnegie Mellon research, having a hug before going into a stressful situation, such as a job interview, can help calm you down. It may even help you stay calm, cool and collected during the event. Hugging is critical to emotional well-being and helps release our own natural "anti-depressant," serotonin. This can help to improve your mood and boost your self-esteem. The hormones that are released in the body after a hug aren't just good for your emotional health - they can also help your physical health. When someone touches you, the sensation on your skin activates pressure receptors called Pacinian corpuscles, which then send signals to the vagus nerve, an area of the brain that is responsible for lowering blood pressure.